OK ladies and gents, I’m back in charge of the editing/posting for a month or so, which means that you’re not going to get the luxurious, weak-kneed posts you’ve been getting from that namby-pamby Jason fellow. No, I’m going to hone you into a finely tuned Web comic loving machine with my spartan style of hard love. We reviewed a Web comic, you can listen to it here. Ok, that may not be enough, even for me. Curse you Jason, curse you and your stupid face. This week we charge straight into the haunted house armed with nothing but a flash light as we review TheÂ Ghosts of Pineville by Sara Turner. It’s a timeless little jaunt into the world of small town kids and fighting small town ghosts in the big city. I actually just found it while desperately searching for something to review and my love for spunky kids and standing up to the undead pulled me straight to it. 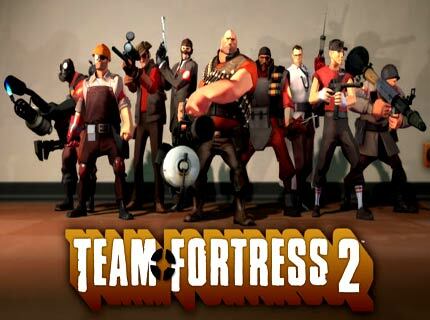 We start out this episode talking about one of the greatest things to ever happen to mankind, Team Fortress 2 going free to play. I’ve been playing for years and am beyond thrilled that more people could soon be playing (hit me up on Steam if you ever wanna kill some dirty REDs together. I’m â€œFish in a Barrelâ€). I try to recruit Jason to the good, color-coordinated fight and we get into a discussion about what kind of gamers we are and what kind of game related media we enjoy. A challenge was thrown down to see if Jason’s pick, the folk at Giant Bomb have the same depth (not breadth) of knowledge as Steve’s champion, Mr. Day9. You can join in the fun too. Keeping with the TF2 theme, our first song break is â€œCap My Pointâ€ by EnigmaEvocative. We then hit you with a second TF2 song, Mmph the Way You Mmph by mymapagainstyourcash (I love Internet names). Finally we get into the review. We talk about the art and some of the cool ways the story could go. We don’t hold back on spoilers but there’s not any major stuff to spoiler. If you only want to read things completely fresh, you’ll want to go ahead and read the comic yourself before coming back. Throughout the discussion, we also mentioned the following comics. Thanks for stopping by, just a reminder we love feedback in all its glorious forms so don’t be shy. This entry was posted in Podcasts, Reviews and tagged ghosts of pineville, sara turner, team fortress 2 by The Geek. Bookmark the permalink.